5. Mirrors. 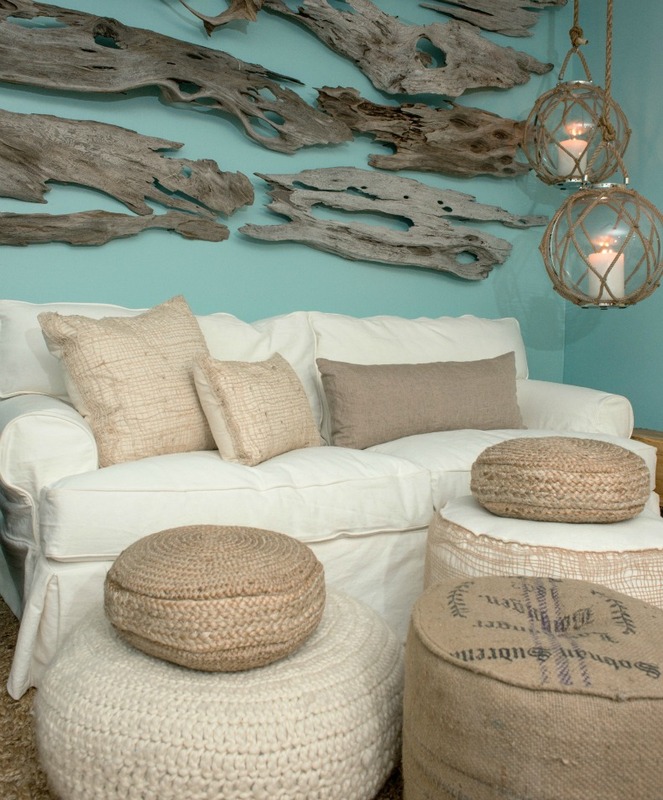 Hanging a coastal mirror will reflect and cast light in a room defining existing textures and creating new. Mirrors also create the illusion of a bigger space, giving you more reasons to add a great mirror to your space. 8. Mix textures in your fabrics. When it comes to fabrics don't use the same texture. For example, If you have pillows on the sofa in the same color family make sure they're not all the same fabric or print. Use a variety of textures and prints to automatically add interest to the entire space. 9. Weathered Wood. Weather it's a reclaimed wood dining table or a great piece of driftwood displayed on the wall, wood is an effortless representation of texture. 10. Layer lighting. Having overhead lighting, sea inspired chandeliers, task lighting and soft tabletop lighting adds dimension to your space. Light casts shadows and adds brightness, creating layers and texture.